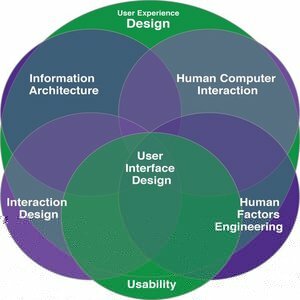 What is the difference between Human Interaction Design (HID), UX Design and UI Design? If you’re like me, you’ve heard all these three and you know they kind of have something to do with each other and yet, they are different. These terms are often used interchangeably, and what’s more, companies that hire for positions that require a UX designer sometimes even advertise for a UI designer often making these distinctions hard to understand and worse. In my professional life so far, I have often seen people who are UX designers while being UI designers and so on. The lines blur in real life and in the execution of these roles. The difference is sort of like a series of layers. 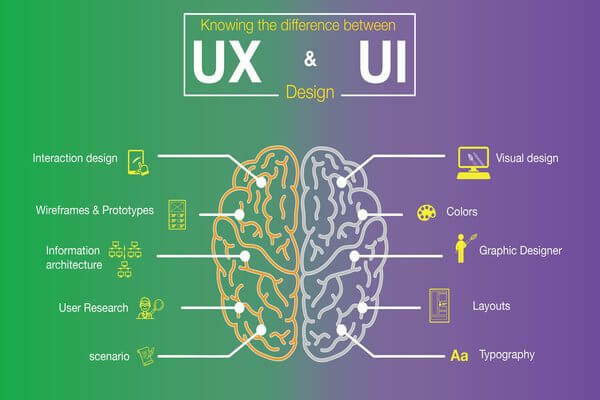 HID is the outermost layer and is the most all-encompassing term, UX is a subset of HID and then you have UI which is essentially how you detail out UX Design or execute User Experience. Confused? Don’t worry, you’re not alone. Let’s tackle this is in parts. Difference between HID and UX Design. When God created the world(dear atheists, relax, I’m not saying she/he actually did, its just an example), if he had designed it with the human being in mind, we would have discovered fire in a day, built the wheel in two days and gone to the moon in a week. It’s just that the world is not human-centered, and so, of course, it took us far longer to do all these things. Let’s try an example from “the design of everyday things” by ___ on human interaction design. Check out this stove below, its difficult to figure out which knob is used for which burner, you might end up using the labels often to operate a stove like this one. 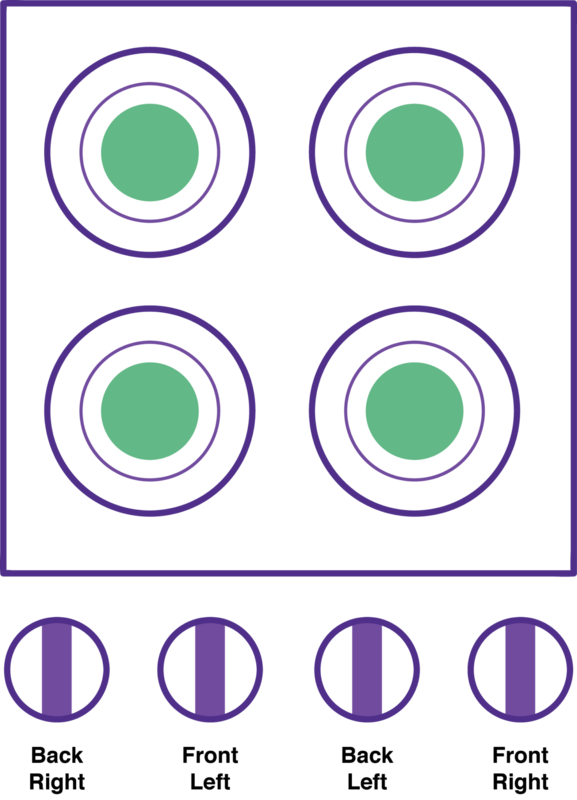 This is intuitively far easier to understand because the layout of the knobs is directly related in its placement to the layout of the burners. The book is filled with tons of more examples, and the reason I point out this example is that design discussions today are often limited to software design and its important to take a step back and realize that these design principles are universal and you could be taking design inputs from physical things and applying them to software and be even more effective with your software design decisions. Also, notice that this example qualifies as an HID (Human Interaction Design) and then you have HCI which is a specialization within HID. HCI Stands for Human-Computer Interaction, which as the name suggests is designing for human interaction with computers. 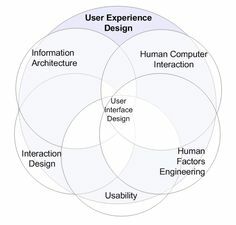 Okay, I get it – that’s what human interaction design is, but then how is that different from User experience design? The difference is between the words human and “user”. The term “user” suggests that there is some interaction between the system and the person and that the person actually does something. Take for example a poster – it’s a bit of a stretch to see the average person who looks at a poster as a “user”. The decisions on the font, typography, color etc. are done so that the average person/human notices the content but that’s about it. The only job a person does here is notice. On the other hand, if you have a person who uses a laptop, then designing how that interaction is between that person and the laptop, makes this person worthier of being called a “user”. Not all human-centered approaches are user-centered. Here is another excerpt from the book “the design of everyday things” that draws the difference between HID and UX a little more. “Interaction design: The focus is upon how people interact with technology. The goal is to enhance people’s understanding of what can be done, what is happening, and what has just occurred. Interaction design draws upon principles of psychology, design, art, and emotion to ensure a positive, enjoyable experience. That makes the difference between HID and UX clear enough, but then how is that different from UI? UI or User Interfaces are a subset of User Experience and Human Interaction Design. UI is a lot closer to graphic design while UX is more technical and analytical. As a User Interface designer you are likely to make decisions on font, typography, colors, placement of buttons etc. But a UX Designer has to take into account things like information flow, performance etc. Say you have a website that looks absolutely stunning, that means that the UI designer has done a fabulous job. But if it takes forever for the page to load or if you can’t find what you’re looking for easily, that means the user experience designer didn’t do everything she/he had to do. User interface is the design of all the interfaces between the user and a system. Every touch point between the user and the system is designed by the user interface designer. The flow or the sequence of steps that a user takes to go from point A to finding what s/he needs would be the job of a user experience designer, or making sure that someone who lands on your website doesn’t leave immediately because s/he is unable to find what they’re looking for would be in the UX designer job description. 1. HID or Human Interaction Design is The focus is upon how people interact with technology. The goal is to enhance people’s understanding of what can be done, what is happening, and what has just occurred. 3. UI or User Interface is the actual look and feel and is a part of user experience.